It comes as no surprise that the Golden State Warriors are the talk of the NBA this season. With the addition of Kevin Durant this offseason, the defending Western Conference champions have lived up to the hype over their first 10 games, going 8-2 in that time. They'll hope to continue their winning ways this week when they embark on a elongated road trip, two of which serve as this week's most expensive games. Friday night will see the Warriors travel to Boston to take on the Celtics at TD Garden. The Celtics have kept their heads above water at 5-4 and will hope to gain some momentum against the Pelicans and Mavericks before hosting the Warriors to begin the weekend. Celtics tickets against the Warriors currently average $339 and the cheapest available tickets start from $138 each. The Raptors are also off to a hot start, owning a 7-2 record over their first nine games. 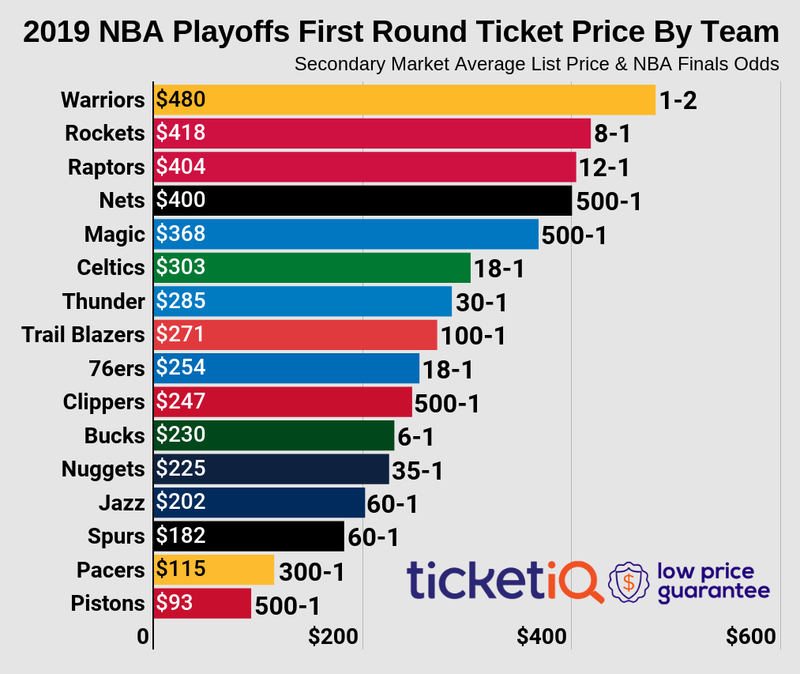 They'll host the Warriors on Wednesday night, where Raptors tickets on TicketIQ currently average $304 and the get-in price is $118. It will be the sole time the Warriors head north to Toronto this season. Staples Center will be alive and well this weekend as the Lakers set to host both the Spurs and Bulls. Both games appear on this week's top games list, with Friday's game against the Spurs averaging $304. Lakers tickets at Staples Center start from $60 each on Friday. The Lakers have held their own through their first 11 games, going 6-5 and relying on their youth to push them to a winning record. The Spurs are off to their usual hot start, posting a 7-3 record over their first 10 games. Two days after hosting the Spurs, the Lakers welcome the Bulls to Staples Center for the fourth most expensive game this week. Lakers vs. Bulls tickets currently own a $293 average and the get-in price starts from $76. The Bulls enter the week at 6-4 on the season and begin an extensive West Coast trip beginning Tuesday against the Trail Blazers. The Knicks have struggled out of the gate, but ticket prices remain costly to see them play at Madison Square Garden. They'll take on the Hawks on Sunday, where Knicks tickets on TicketIQ average $249 and the get-in price is $69. The Hawks begin the week at 7-2 on the season.